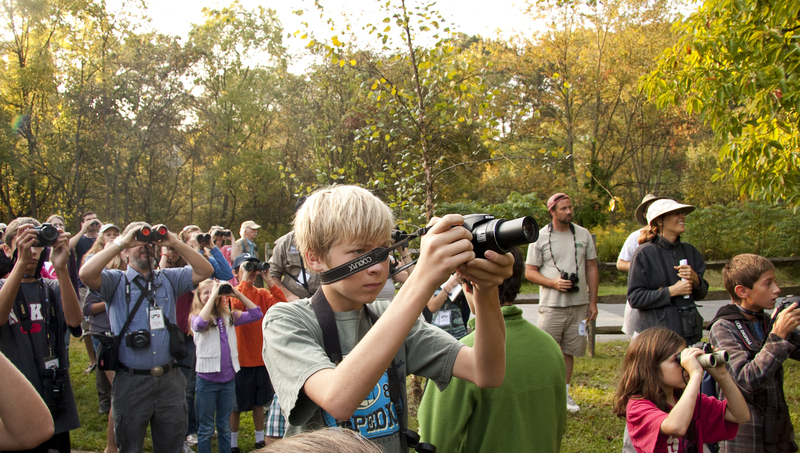 Last weekend was the 2012 ABA Mid-Atlantic Young Birder Conference, and by any measure it was a huge success. 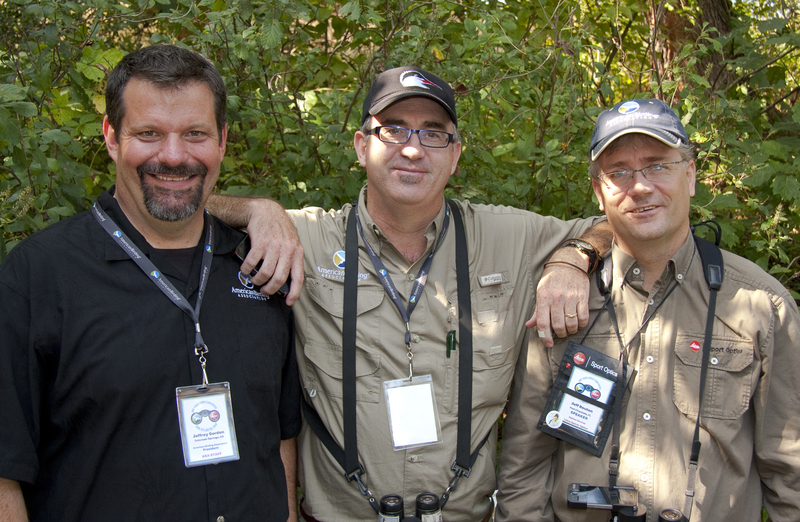 It’s amazing how energizing it is to get together with a bunch of like-minded birders. What I had not known was how thrilling it can be when so many of those birders are kids or young adults, who are just beginning their journey as birders. Bill Stewart masterfully orchestrated a superb event, and it was all the more fun because of the fantastic support and participation of all whom were there. In all, over 140 registrants were present. Add to that the ABA Staff (including Bill, Jeff & Liz Gordon, Betty Petersen, Amy Davis and myself), our sponsors and supporting volunteers and it was an awful nice collection of people. Thanks to all of you that supported this event for helping to make it the success that it was! 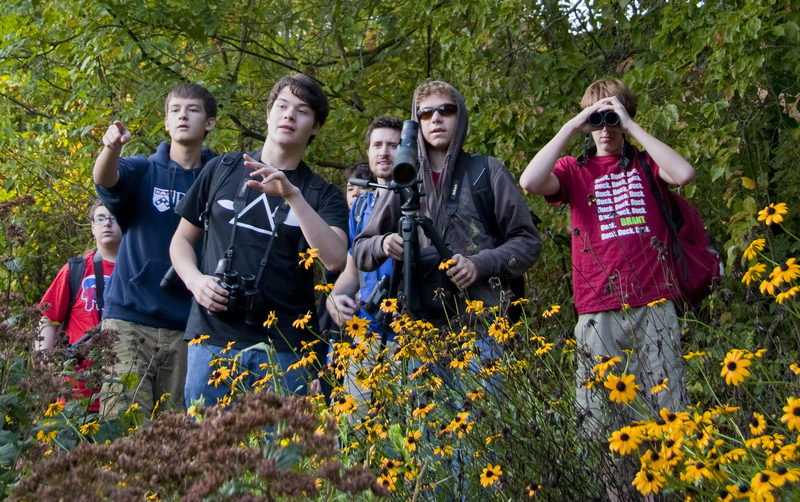 The fellas from the Upper Main Line YMCA (above) spot a Ruby-throated Hummingbird. 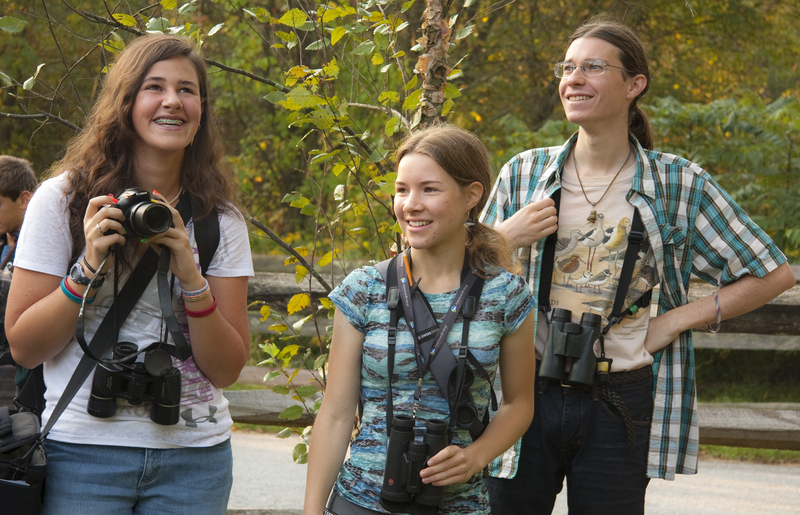 2012 ABA Young Birder of the Year Marie McGee (middle) birding with friends. Marie was one of the keynote speakers. reflect on a most satisfying day. Sunday, September 23rd was our Annual ABA Members meeting. This was another fun event with lots of friends, and camaraderie. We began the day birding Bombay Hook National Wildlife Refuge and enjoyed a nice Hudsonian Godwit and some Black Terns nearby, before heading to the Dupont Environmental Education Center. This building was the perfect setting for our members meeting. Bordering the Wilmington waterfront we enjoyed wonderful food and drink while taking in views of the city and the river, and even saw a nice flight of ~150 Broad-winged Hawks (nimbly spotted by Leica’s Jeff Bouton). It was a real pleasure to see Richard Crossley presented the Ridgway Award for excellence in publications. 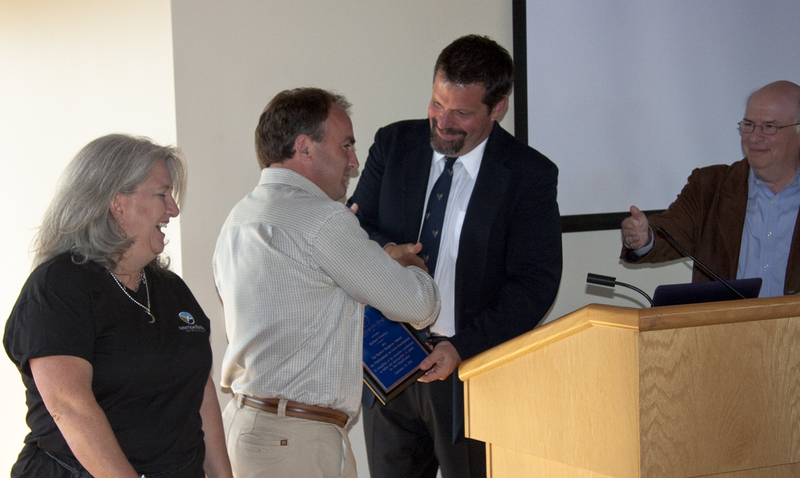 Left to right, Liz Gordon, Richard Crossley of Pledge to Fledge receiving the Robert Ridgway Award, ABA President Jeff Gordon, and ABA Chair Lou Morell. We also learned from Collin O’Mara about the Delaware Bayshore Initiative, and how birders may play an important role in shaping both the view-sheds of this area, and perhaps the state’s economy too. Collin O’Mara, the Secretary of the Environment and Energy for Delaware for Governor Jack Markell, spoke to us about the Delaware Bayshore Initiative. 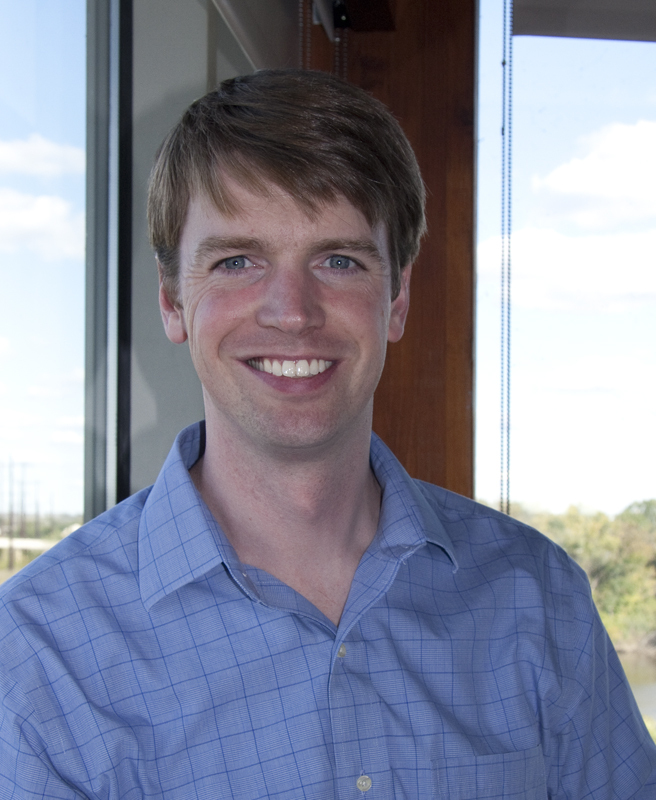 George Armistead is a lifelong birder and since April 2012 is the events coordinator for the ABA. 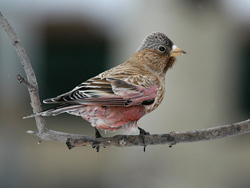 George spent the prior decade organizing and leading birding tours for Field Guides Inc. He has guided trips on all seven continents, and enjoys vast open country habitats and seabirds most of all. Based in Philadelphia, he is an associate at the Academy of Natural Sciences of Philadelphia, and spends much of his free time birding the coast between Cape May, NJ and Cape Hatteras, NC.